When we heard about the #10yearchallenge we considered posting pictures of how we look now compared with 2009 - but then we thought better of it! #10yearchallenge, IPS Weld-On 719 PVC Cement - the tin may have changed but its the same great cement and here's a great offer for the new year! 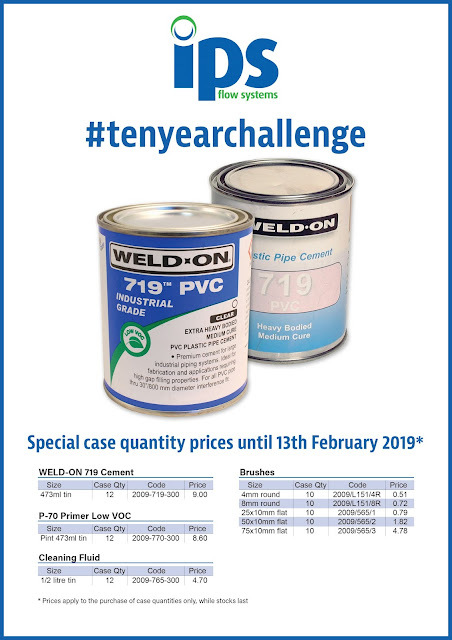 Give us a call to place an order or to speak to us about our great range of solvent cements for your piping applications.